The attempt to do away with the world’s most famous detective, the Irish Bridget, and the ultra-rich Gilded Age family who outdid everyone else in building urban palaces, estates and summer villas. These describe just three of thirteen exciting "Tea & Talks" that Ventfort Hall will offer this summer on Tuesdays at 4:00pm running now through September 5. Victorian teas will be served. Speakers hail from around the corner (the Berkshires) to around the world; they include historians, educators, and authors. One common theme is the era of the Gilded Age – the late 1800’s and early 1900’s primarily in the U.S. where we see and learn about the servants of the rich and famous, renovation of the Berkshire Carousel, the trappings of antiques and jewelry, and a wide range of Who’s Who; i.e. Edith Wharton, Doris Duke, and the Vanderbilt family. On Tuesday, June 20th, historian/lecturer/actor Jeffrey Bradway brings his Ventfort audience up close and personal with Sir Arthur Conan Doyle. Most know Doyle as the creator of Sherlock Holmes – whose popularity has spanned well over a century. However, in an interview with Bradway, I learned that the author had fun with his sleuth, and thought of him as an intelligent yet strange man. After decades of spewing out nearly unsolvable crime after crime, Doyle compared his Holmes stories to great literature, saying that they were merely cartoons in the world of real painting, and by no means a masterpiece. 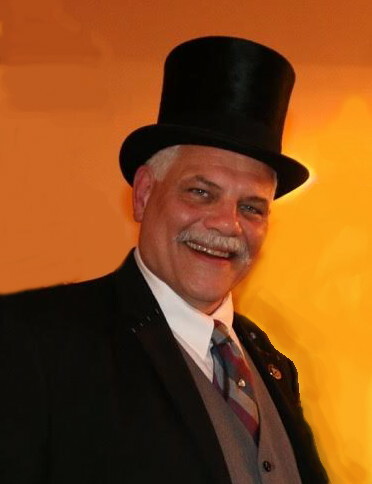 Bradway is a member of numerous Sherlock Holmes clubs and societies. Little did I know that over 200 groups exist in the U.S. and far more throughout the world; i.e. Baker Street Irregulars. Readers take their Holmes extremely seriously, but with a sense of humor. While the topic of Bradway’s Tea & Talk is “Killing Off Sherlock Holmes,” his one-man play is more than a narrative on the creation, death and resurrection of the world’s most famous detective. Doyle is the star. Like Holmes, the author had his own quirkiness and eccentricities with an unending curiosity in the subjects of the occult, science, and medicine. The lecture introduces the character of Doyle through Bradway, dressed in garb of the era, speaking much of the writer’s actual language, albeit fictionalized. Sides to Doyle’s personality that few now realize are his strange mixture of scientific training with belief in the hereafter. As for Bradway, he is in awe of Doyle, and has been almost equally enamored with Holmes since age 5 – before he could read. Shortly after, his aunt gifted him with Holmes’ sixty stories, all of which he read by age 14. Bradway explained that Doyle, however, was far more than the sum of Holmes and that the Ventfort audience will meet and learn about the man as an author of numerous genres and topics. Jeffrey Bradway knows his subject extremely well, having extensively researched Doyle. Just as Sherlock Holmes has intrigued millions of readers (moviegoers, PBS supporters, and other modes of portrayal), Bradway continues to remain intrigued by Arthur Conan Doyle.